Lock in a great price for The Westby – rated 9.4 by recent guests! Decent budget accommodation. Clean room, great breakfast and friendly hosts. Can’t say better than that for price. It provided exactly what we were looking for, at the right price. Convenient location for town. Everything was very clean, comfortable and enough for a one night stay. Proprietor recommended a great little pub which suited us very well. Very helpful and friendly. Great breakfast. This was my first ever experience staying at a guesthouse and what an experience it was. I would so recommend this place. Duncan made myself and my partner feel so welcomed. 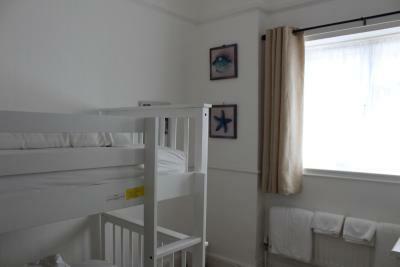 The room was perfect and cosy plus extremely clean and tidy, perfect for a good nights rest. We didn't hear anyone all night and the house was very peaceful. The shower was perfect even with me being 6 ft 1. Breakfast was amazing and I couldn't thank Duncan enough. Both myself and my partner loved it and the toast plus coffee went down a treat. Word of advice try Anne's marmalade its amazing and we couldn't get enough of it. Thank you Duncan and Anne for a lovely stay and you can guarantee we will be back. Very welcoming. Lovely clean comfortable, airy room. Very comfortable bed. Nice bathroom. Lovely breakfast. -Very good value for money -Friendly, helpful owners -Comfy bed -Close to the beach -Full English was cooked in the oven so not greasy. The property was in a perfect location, close to the beach and located near everything we wanted out of our stay. 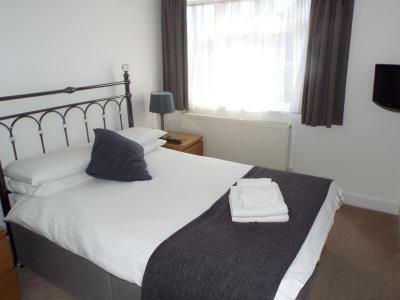 The beds were extremely comfortable and the room was clean and tidy. Breakfast was great and was lovely to have a choice between cooked or continental. The owner was very welcoming and the whole experience was laid back and easy. Bed was very comfy, it was really clean and tidy. Very attentive host with advice on where to go to eat etc. Really good breakfast would definitely stay there again. The Westby This rating is a reflection of how the property compares to the industry standard when it comes to price, facilities and services available. It's based on a self-evaluation by the property. Use this rating to help choose your stay! In the Boscombe area of Bournemouth, The Westby offers family-run bed and breakfast accommodations just 4 minutes’ walk from the O2 Academy. The guest house is less than 1 miles from the beach. 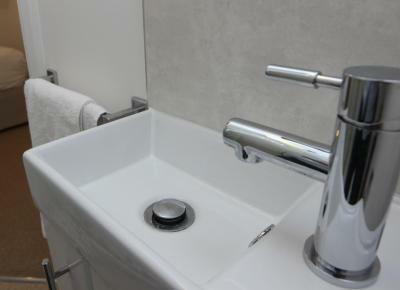 Each of the modern airy rooms have an private bathroom and offer a flat-screen TV with Freeview, tea and coffee making facilities and free WiFi. In addition to a cold breakfast buffet, The Westby offers a full English Breakfast every morning. The Westby is located close to restaurants and bars where locally sourced produce as well as more international cuisine is available. 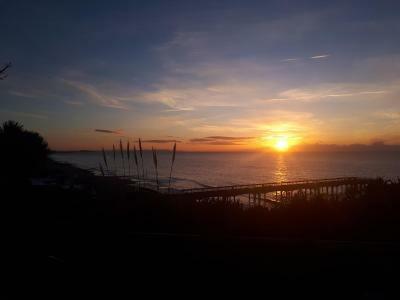 This guest house is around 2 miles from the Bournemouth International Center and the Oceanarium. 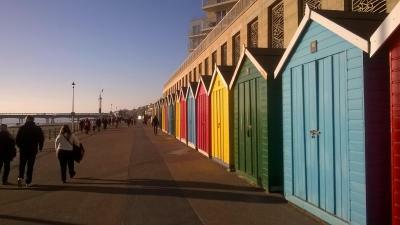 The town of Christchurch is a 10-minute drive away, and you can reach Poole in around 20 minutes. 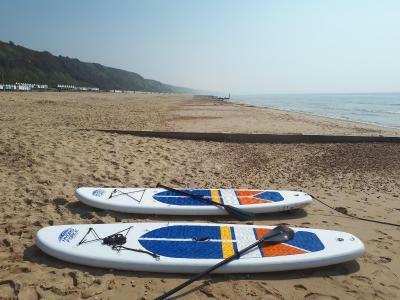 Bournemouth Airport is a 15-minute drive away, while Pokesdown train station is within walking distance. Nearby attractions include the New Forest and Jurassic Coast. When would you like to stay at The Westby? 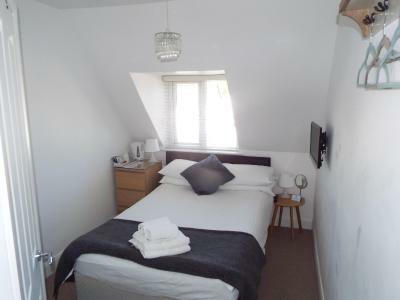 The Standard Double Rooms are all recently redecorated and are bright and modern. All have flat-screen TVs with Freeview, tea and coffee making facilities, free WiFi and thermostatic controlled heating for your comfort. This room is located on the second floor and only accessible by stairs. This large room features a king-sized bed, a seating area and an private bathroom. 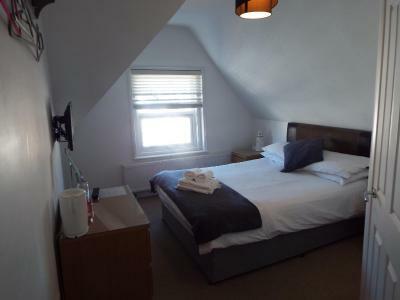 The room features a contemporary design and offers tea and coffee making facilities, a Freeview TV, free WiFi and thermostatically controlled heating for your comfort. Please note the room has some sloping ceilings and is on the second floor accessed by stairs. This compact room offers a small 4-foot/47 in double bed. It has been recently modernized with a contemporary private bathroom. The room features a flat-screen TV Freeview channels, tea/coffee making facilities, free WiFi and thermostatically controlled heating for your comfort. The room has some sloping ceilings and is on the second floor accessed by stairs. 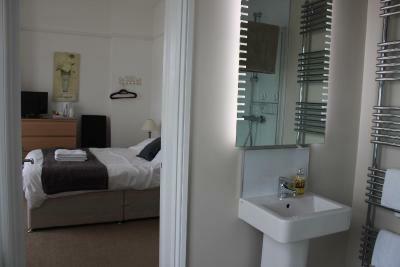 This suite is made up of 2 adjoining rooms, one of them en-suite. 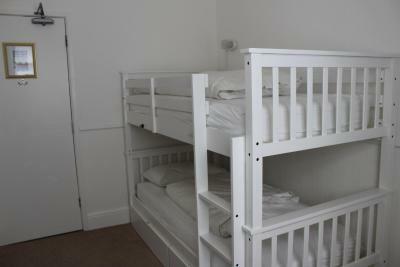 One room is fitted with a double bed, while the other features a bunk bed. Facilities include a flat-screen TV with DVD and Freeview, tea/coffee making facilities and free WiFi. There is thermostatic controlled heating for your comfort. The room is on the first floor accessed by stairs. The Westby Guest House is the perfect place for a relaxed break near to the award winning beach and a great base for all that Dorset offers. A warm welcome awaits everyone and we can also cater for tailored sole use groups. We are very proud of the quality of our newly modernised en-suite bedrooms, as well as keen to help all our visitors have a memorable and enjoyable stay in our comfortable home. House Rules The Westby takes special requests – add in the next step! The Westby accepts these cards and reserves the right to temporarily hold an amount prior to arrival. 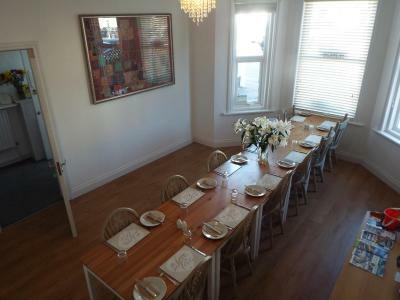 Please note that The Westby Guest House offers quiet and relaxed accommodations and does not accept group bookings for hen or stag parties or late-night parties. The property reserves the right to turn down those parties on arrival. Breakfast is served 08:30 until 9:30 every day. 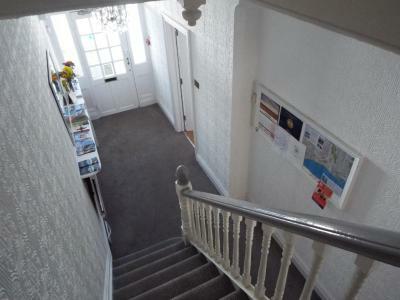 All rooms are located on the first and second floor and accessed via the stairs. There are also some sloping ceilings on the second floor. Please inform The Westby of your expected arrival time in advance. You can use the Special Requests box when booking, or contact the property directly using the contact details in your confirmation. The only thing that could have made our stay better would have been a mattress topper on the bed, as it was a little firm for our liking, apart from that everything was lovely. The property was situated in a quiet road, a very short walk from Boscombe pier, and the lovely sandy beach, as well as being close to shops within the Sovereign Shopping Centre. The owner Duncan was more than helpful, advising us of local transport options to reconnect with our friends. The breakfast was plentiful, with suitable options for vegetarians and featured some delightful home-made preserves and fair-trade beverages. He moved us to a better room, as we were his only guests, in order to make our stay more comfortable. If we were staying longer we could have chosen a King-size room. The property was clean and warm and there were environmentally friendly products available. Had a fantastic night here. Room was lovely, spotlessly clean and tidy. Breakfast was lovely and Duncan made us feel very at home, nothing was too much trouble. I highly recommend this hotel. Nothing at all. Every detail has been thought through carefully, it makes staying there a real pleasure. Excellent freshly cooked and ethically sourced food throughout. I love staying at the Westby! Very nice to see a guesthouse going for green options - avoiding plastic and packaging and using local suppliers. 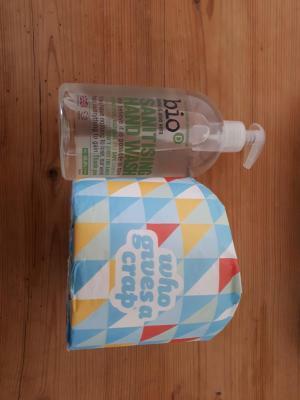 Clean and quirky! Good size bed and bathroom. Duncan was a great host and very welcoming. He was very knowledgeable of the local area and has even drawn a tailored map with extra details. Breakfast was lovely and again tailored to our exact taste. Shower- Boiling water was coming out.. Fantastic, cosy room. Great staff- very friendly and helpful. Honestly, on this stay, there is nothing I can think of that I didn't like. I booked this B&B for 2 nights as a little break with my wife. Before we were even due to arrive I was contacted via email with a mobile number so I could text and give an ETA. Once we arrived we found Duncan (The Owner) to be very helpful and friendly. He has even drawn a map of the local area that has all the local Pubs, Restaurants and attractions on it with a guide to how far from the B&B they are. Our room wasn's the biggest but with an ensuite, it was just about right for a night or two. We managed to park in front of the property (3 Spaces available on a 1st come 1st served basis) and I was glad of this, although if you arrived later and other guests had alrerady arrived and the spaces were gone you would need to find a space in one of the adjoining roads as the road the B&B is on has very limited parking. 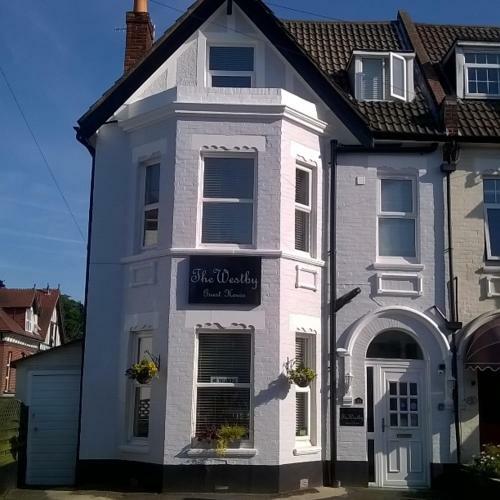 All in all though we found this B&B to be reasonably priced and in a good location with a nice friendly owner. My wife and I both agree that when revisiting the area we will most definitely book this B&B again. Thanks again Duncan and see you again someday. Duncan was excellent as was the Westby couldn't praise him & his place enough. Facilities & location were ideal for us. Lovely place to stay. Excellent family room, proper bunk beds for the kids and not just pull out beds. Great location for seafront. Friendly host. I had a lovely stay, Facilities really clean and fresh. Breakfast baked not fried - really nice. Really nice atmosphere. Shower quite small a larger person would have trouble getting in but that was a very minor thing and the only I could think of!